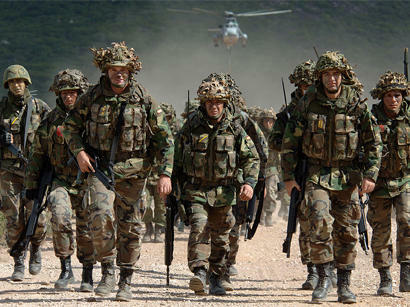 There is no end-date to NATO’s Resolute Support Mission in Afghanistan, a NATO official told Azernews on December 15. "Afghan forces are making progress, even though the situation remains challenging. Afghan Special Forces have conducted 80 percent of their operations independently, using their own assets and the Afghan Air Force has conducted 500 more air missions this year than last year," said the official. More than 13,000 troops from 39 countries now serve in the Resolute Support Mission. The US is increasing its troop contribution and twenty-seven other nations have also committed to increase troop numbers in the coming months. "NATO remains fully committed to Afghanistan. There is no end-date to our Resolute Support Mission," the official noted, adding NATO remains focused on its implementation. The interlocutor added that Afghan security forces are continuing their fight against terrorism by taking decisive action and applying relentless pressure. "We are now increasing our commitment to the NATO-led Resolute Support Mission in Afghanistan by stepping up our train, advise and assist efforts in support to the Afghan security forces and institutions," NATO official noted, adding that a special focus is put on the further development of combat capabilities so that Afghanistan does not become again a safe haven for terrorist attacks. Resolute Support is a NATO-led training, advisory, assistance, and counter-terror mission in Afghanistan, which began in January 2015. It is a follow-on mission to the International Security Assistance Force (ISAF), which was completed in December 2014.